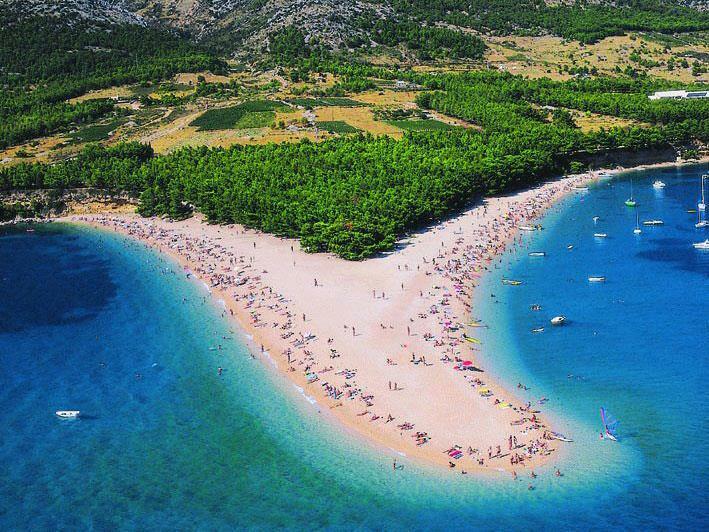 Bol, one of Croatia’s most beautiful holiday destination. The whole world is very popular. 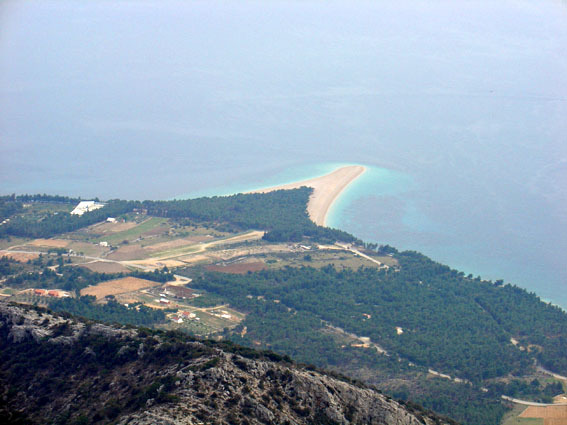 The Vidova gora (778 m), which lies at the foot of the highest Dalmatia. 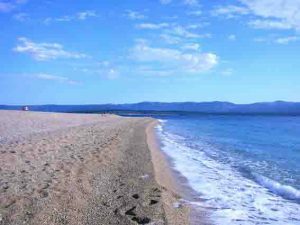 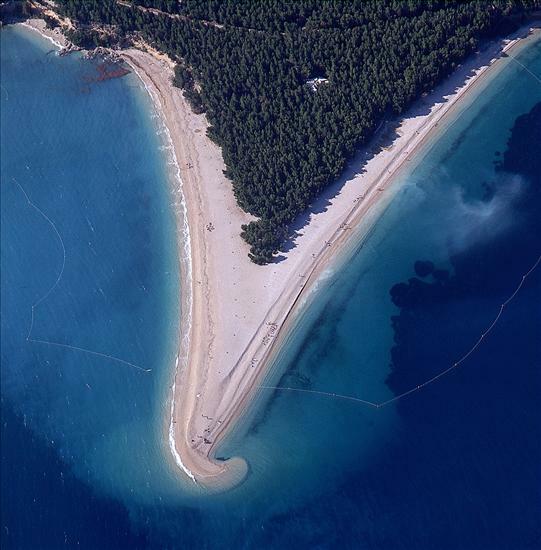 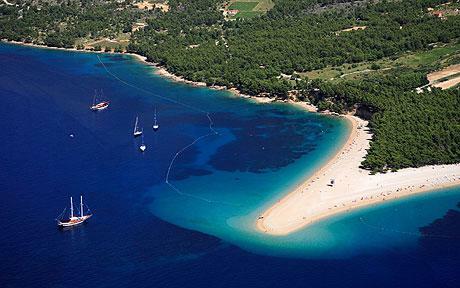 The most spectacular part of the settlement of Zlatni Rat, or Golden Horn beach. 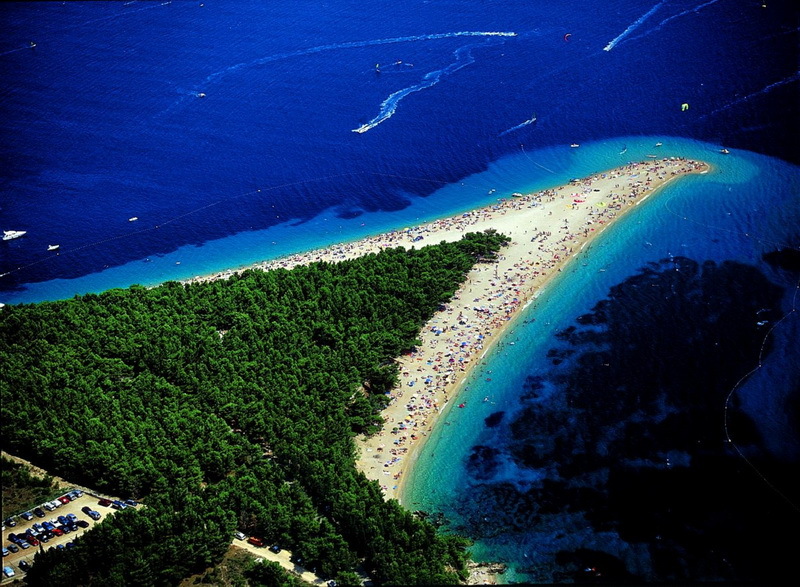 The scenery is beautiful and because of the mild climate, a popular holiday destination all year round. 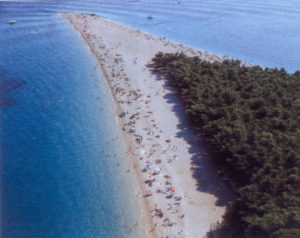 Zlatni rat is a 500-meter-long sea dyke. The undulating opposing ocean currents, waves and winds developed such an elongated tongue-shaped. 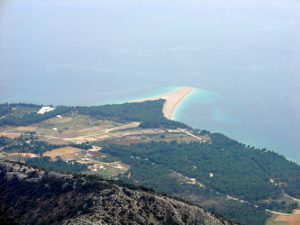 The isthmus is still continuous motion. 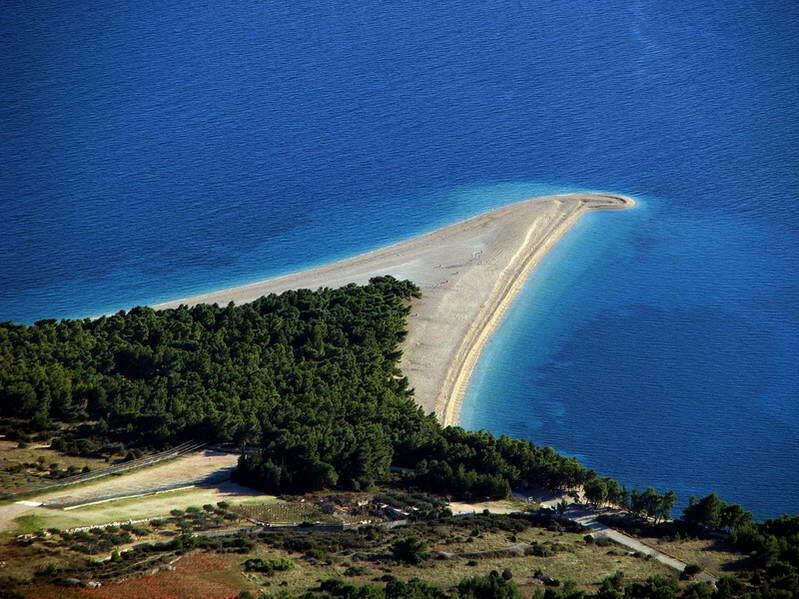 Depending on which of powerful ocean currents left or right curled end of the isthmus.